Production will be completed next year. 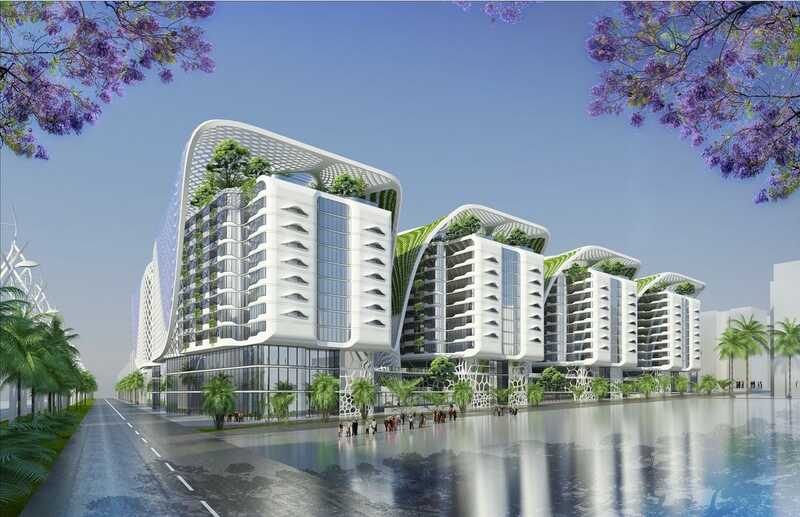 An apartment, retail, and office complex with an abundance of greenery is going up in Cairo, Egypt. Construction began in 2014 and will be complete by 2019, Callebaut told Business Insider. 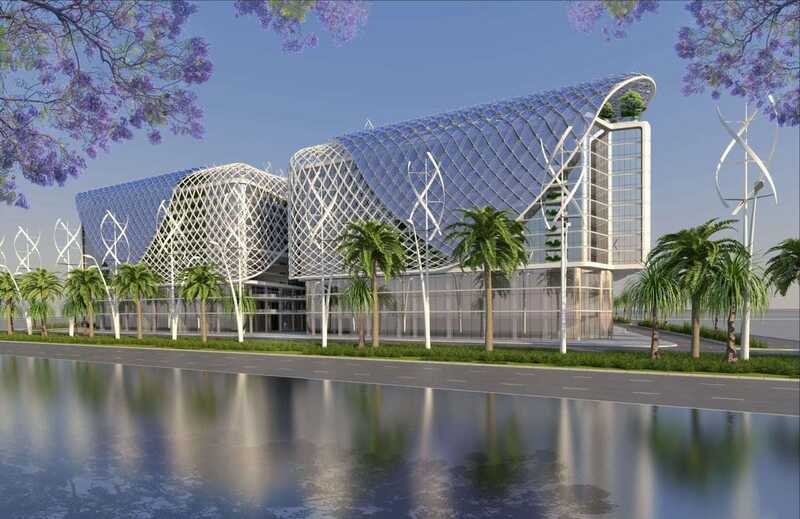 The Gate, a 4.8-million-square-foot complex, is being built in Cairo’s Heliopolis district. 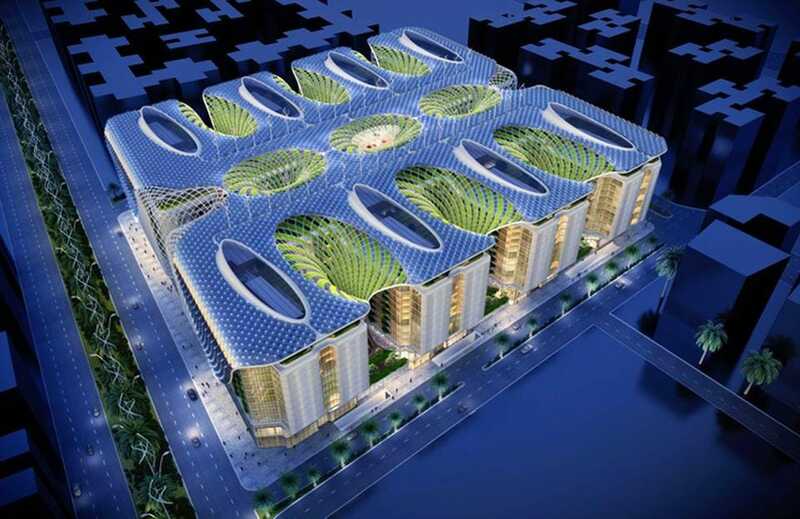 The project was commissioned by local developer Abraj Misr. Eight buildings will intertwine to form the complex. 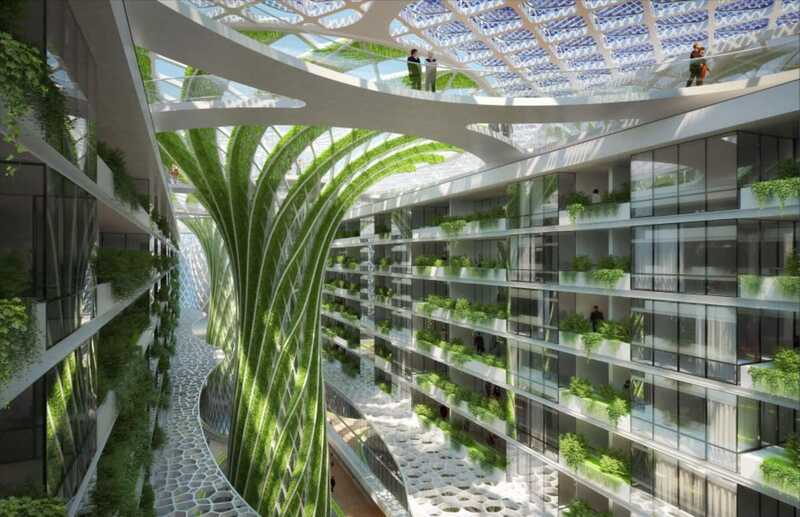 The top floors will be connected by pedestrian bridges, and offer playgrounds and small gardens growing fruit and vegetables. 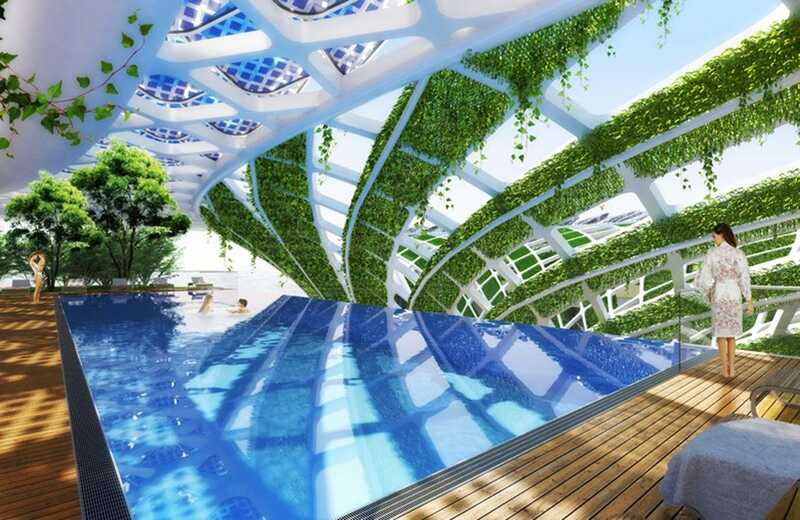 There will also be an infinity swimming pool. … and 1,000 “smart” apartments. Each residence will come equipped with motion sensors that adjust temperature and lighting when residents are home. 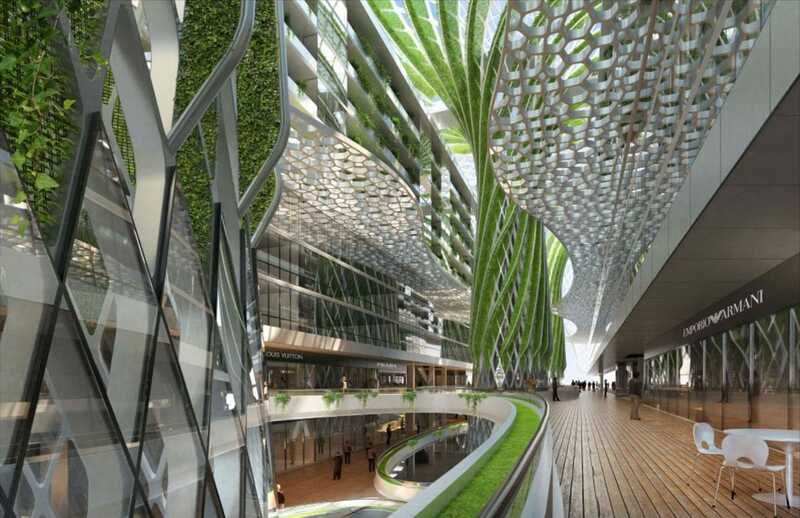 The interior will feature nine “mega-trees”: cylindrical living walls that will help provide natural ventilation and consume carbon dioxide. The buildings will be partially powered by solar and wind. 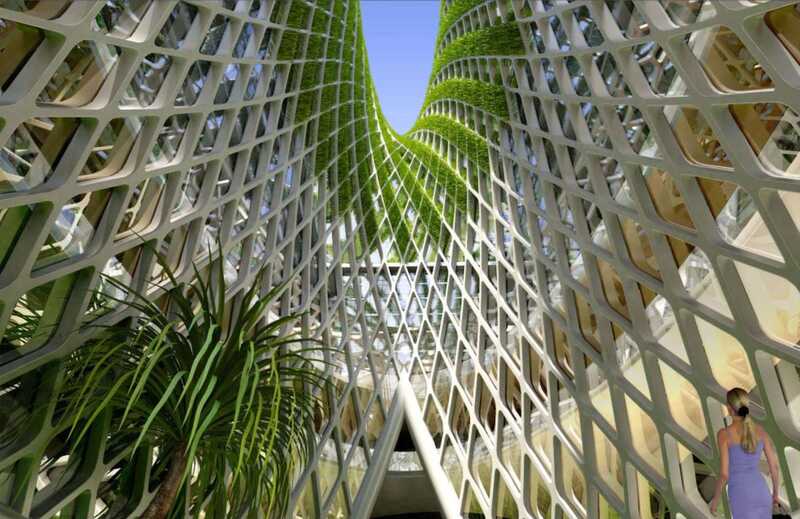 Callebaut, a Belgian architect, is known for his greenery-filled structures. He sees The Gate as a small step toward a more sustainable future. 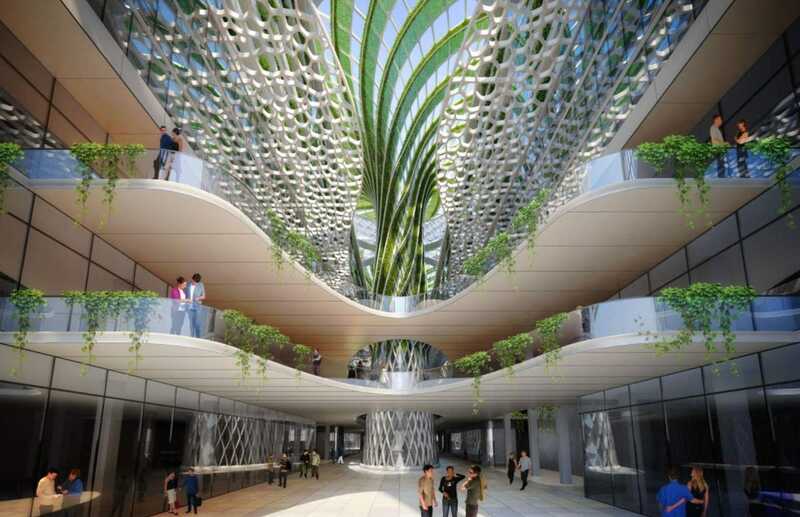 Callebaut’s other projects include a masterplan to revamp an industrial zone in Brussels, Belgium by adding luxury housing, restaurants, shops, office space, and greenhouses. His firm submitted the plan to the local government for review in February. They’re also working on a manta ray-shaped ferry terminal in Seoul, Korea. The designs for that structure, which were unveiled in June, also call for it to be covered in plants. “The main objective behind this project is to raise awareness of green sustainable architecture to fight against global warming to maintain an eco-friendly Earth for our next generation,” Callebaut said.